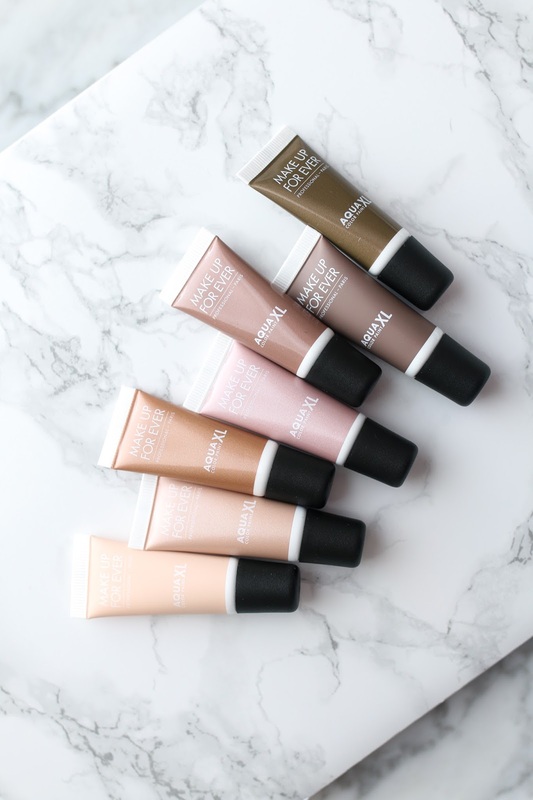 As an oily-skinned gal, summer makeup comes with its own set of challenges. Mainly how the heck is anything going to stay on my face?! Last summer I wore the heck out of this cream shadow that lasts all day without creasing, and was looking for new ones to try this year. These MUFE Aqua XL Color Paints fit the bill perfectly! 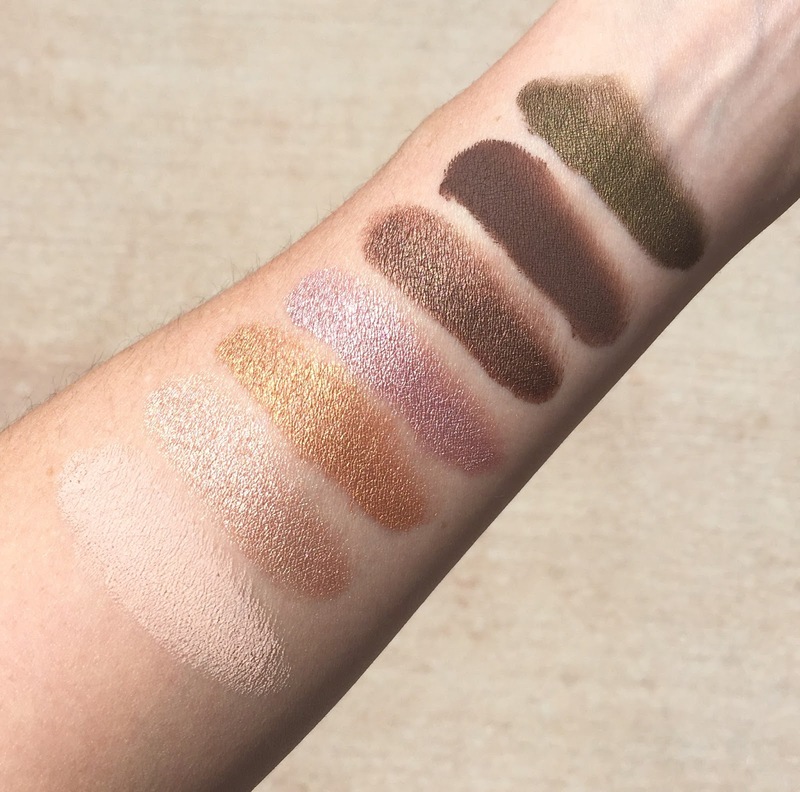 There are a ton of colors in this collection including super bright and fun summer colors, but you know I immediately grabbed for all the neutrals when opening the box MUFE sent me. And there are sooooo many good ones both in matte and shimmer formulas. I have been using the matte bone colored shade as an eyeshadow base mostly and the dark brown as a liner, but the shimmer colors are best used on the lid alone. And if you are wondering if these are long wearing, let me just tell you that after these swatches I had to scrubbbbbbb to get them off. I find they remove best with a good cleansing oil when on the eyes, so just know that a basic cream or gel cleanser will do nothing for them. Ha! The pigmentation is nice and even and they blend beautifully. The packaging is always a tad underwhelming with MUFE but thankfully what's inside doesn't disappoint. Love that olive green shade. I recently tried their Aqua XL eye pencil and it's super smooth!